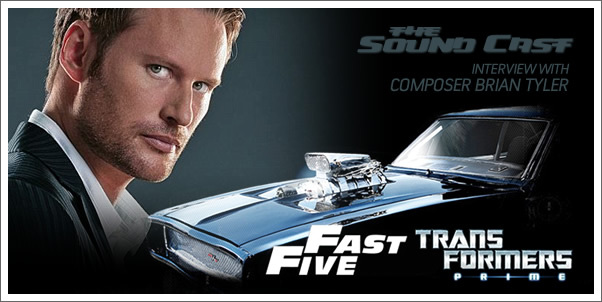 Composer Brian Tyler talks about his latest effort for FAST FIVE, TRANSFORMERS PRIME. He shares about how he came to work with director Justin Lin, his treatment of the Hawaii Five-0 original theme, what superhero he'd most like to write a score for, and what he has coming in the near future. 16:00 — Twitter questions #1 "Which is more difficult drumming or conducting?" 31:03 - What can a fan do to help get a score released? 32:30 - Twitter question #2 "Where you inspired by Steve Jablonsky's music for Transformers?" 37:16 — What superhero film would you like to score?